They say he might know more about an incident where a deputy shot a 17-year-old boy accused of attacking his mother and sister. TAMPA, Fla. — The Hillsborough County Sheriff's Office is looking to speak to a man who was around during a deputy-involved shooting last month. On March 26, Deputy Daniel Estanislau shot a 17-year-old boy who was accused of hitting his mother and sister. The sheriff's office said a family argument began in the parking lot and the teen hit his sister. Afterward, the suspect threw his mother to the ground resulting in a minor head injury, deputies say. One of the responding deputies, Daniel Estanislau, saw the suspect walking away from the apartment. The sheriff's office said Estanislau feared for his safety because he believed the teen was carrying a weapon. Sheriff Chad Chronister said the deputy ordered the teen to "drop the gun" then fired two rounds, hitting the teen once in the upper body. The sheriff's office said no weapon was found at the scene. 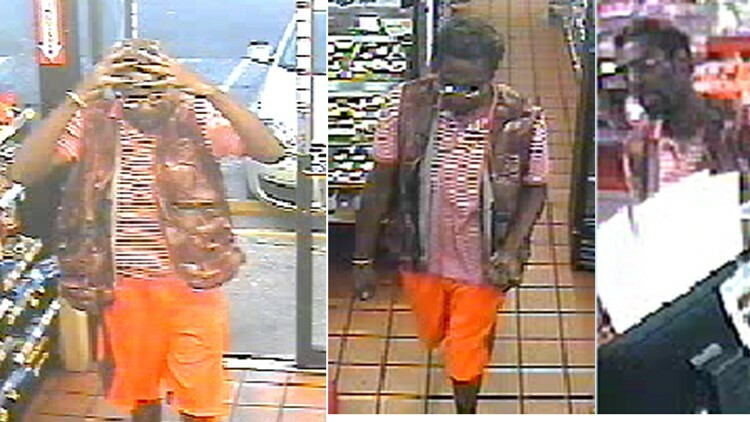 As part of their investigation, deputies want to speak to a man seen in the area. When the investigation is done, the results will be turned over to the State Attorney's Office for review. Anyone with information about the man is asked to contact the Sheriff's Office at 813-247-8200 or Crime Stoppers at 1-800-873-TIPS.